Last week MailChimp announced that it was removing its app from Shopify in what appeared to be an "agree to disagree" situation about data ownership and privacy between the two companies. Plenty of the leading tech journalism sites including TechCrunch have covered the split, so I won't go deep into the reasons why its happening. What I think is more important to talk about are the tens of thousands of merchants that stand to be disrupted when the MailChimp Shopify App officially stops working on May 12, 2019. If I've learned one crucial fact from the number of message boards and discussion threads I've read since the news broke, it's that merchants are frustrated. It's tough to transition business-critical processes in a little more than a month when you are actually planning to do so, never mind in an unexpected scenario like this. I'm a Shopify merchant that relies on MailChimp, what do I do now? Let's make lemonade out of the lemons you've been handed. In a pinch, your options are either 1) find a new way to connect Shopify with MailChimp and to continue syncing your data or 2) find a new email marketing provider to connect to Shopify. "We’ve identified several third-party providers to connect your MailChimp account to Shopify: ShopSync, Zapier, and Automate.io." 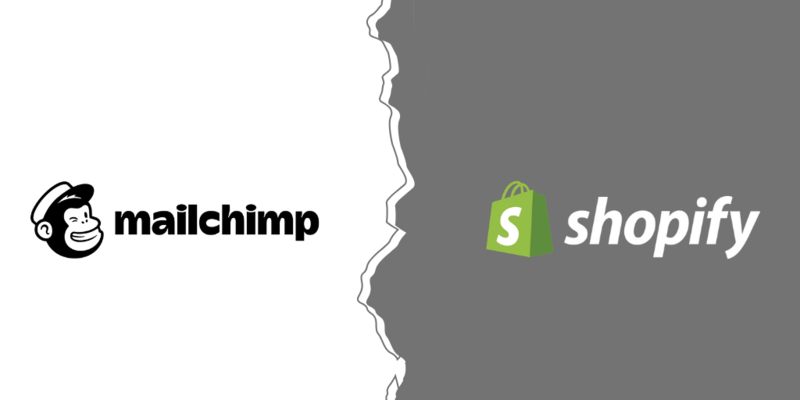 In addition to those options, we're happy to share that Unific is developing an integration between MailChimp and Shopify as well! It will be available soon (before May 12), and there will be a free option available. We'll be sharing more details as we can, but initially, we expect the data integration to be similar to our Shopify HubSpot integration. You can join the invite list for our MailChimp/Shopify integration here. Maybe it's time to think about a different email marketing solution? For any merchants disrupted by the breakup that were already considering making a change to their email marketing solution, this may prove to be a catalyst. Like integration providers, there are a number of email vendors that offer a variety of functionality and pricing options. For ecommerce marketers at a higher-volume merchant or one where your items have carry a sizable cost you may benefit from a solution that offers new tools and tactics that can energize your growth. As a longtime user of HubSpot, I recommend merchants at least consider its viability for their ecommerce marketing needs. HubSpot's mix of inbound marketing (with tools for email, ads, social and more) combined with sales (CRM), service (case/ticket management) and reporting capabilities have made it a favorite of ecommerce teams. As a top-tier HubSpot partner, Unific can provide unique value to any merchant considering a migration to HubSpot. With ecommerce-focused onboarding programs, our team of experts ensure you are quickly implemented, trained and driving new sales. Have questions? Simply chat with us from this page, or schedule a time to talk here. The silver lining in all of this. As I mentioned earlier, I've been tracking many of the message boards and discussions stemming from the announcement. It's been refreshing to see the Shopify and MailChimp communities rally together and willingly support each other with helpful tips, links and updates that they've found. We're here to help as well, just let us know what we can do!